Ever wonder how the aroma of "cat pee" gets into some Sauvignon Blanc? Peter Rosback blames machine harvesting. Rosback owns Sineann winery in Oregon, but he actually makes 20% of his wine in New Zealand. He started making a Sauvignon Blanc in Marlborough in 2007 and it's now his most popular wine. It's delicious, and he says the difference is that his grapes are hand-harvested, which is unusual in the region. It's also safer for vineyard pets. "Four years ago, a dead cat came through the destemmer," Rosback says. "Machine harvesters, they just shake everything off the vines. Anything that's up in there goes into the machine. I told a friend about finding the cat, and he said, 'You should see some of the stuff we've found'." Yikes: what could be worse? That said, the grassiness -- much nicer description -- of some Sauvignon Blancs isn't due to actual grass being crushed with the grapes. It's due to phenolic chemical compounds that Rosback says are likely to taste more powerful in a machine-harvested wine. "When you macerate (grapes) on the skins with other material like leaves, it gives it a harshness," Rosback says. "The combination of that and some acidity gives you a phenomenon where other flavors than fruit take over. It's as if your tongue gives up." 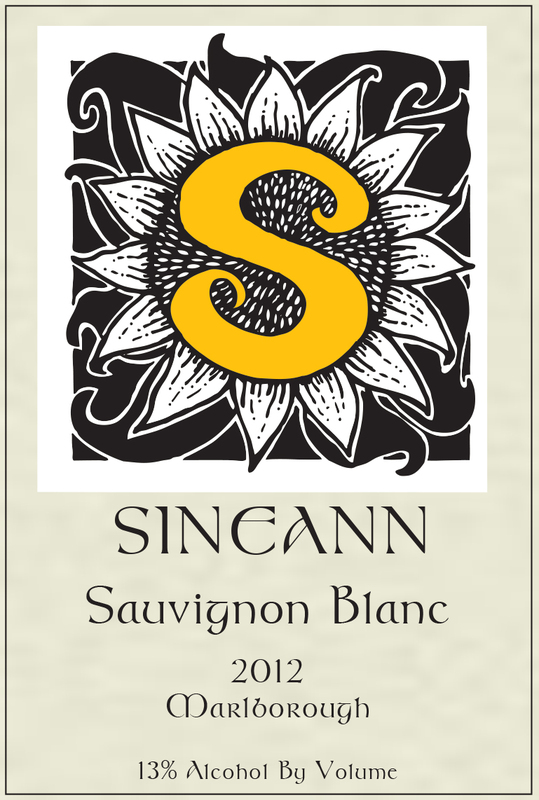 In contrast, Sineann Marlborough Sauvignon Blanc 2012 ($18) is a delightful wine, with tropical fruit and jalapeño notes and a medium-long finish. You smell a little grassiness, but you don't taste it. Rosback makes the wine in Marlborough, with fruit from the Awatere Valley, which he prefers to the larger Wairau Valley. "The first year we did it, we got the second-best grapes," Rosback says. "They watched our wines develop together and our wine was quite a bit better. That was the last year they machine-harvested." Of course, hand-harvesting is expensive, especially because New Zealand has no cheap source of labor. Without machine harvesting, most wineries couldn't produce the Sauvignon Blancs under $15 that have made the country world-famous, and that drew Rosback there in the first place. "I've always loved Marlborough Sauvignon Blanc," he says. "For one thing, it's affordable. They're very drinkable between $10 and $15. I can't think of one white wine from California in that price range that I can stand. And if you spend a little more, there's a handful of world-class wines: Seresin, Dog Point, Greywacke. These are some of the great white wines of the world but they can't charge more than $25 for them. I love those wines and I wanted to make one." I have to think ripeness also makes a difference in Rosback's Marlborough Sauvignon Blanc. His Oregon Pinot Noirs are known for concentration, and he's proud of a 15.2% alcohol Zinfandel he makes from Columbia Valley. Perhaps it's just an American take on New Zealand wine -- not a caricatured American-palate wine, like we often see cynically made for this market, but a wine made by somebody who does like the taste of fruit. Rosback also makes a Pinot Noir in New Zealand, working with a different winery 500 km south in Central Otago. It's earthy on the nose with raspberry fruit, and is less ripe-tasting than his Oregon Pinots. "Americans lap up New Zealand Sauvignon Blanc but they don't understand New Zealand Pinot Noir," Rosback says. "I'm underpricing it (at $24) to try to get them to try it." 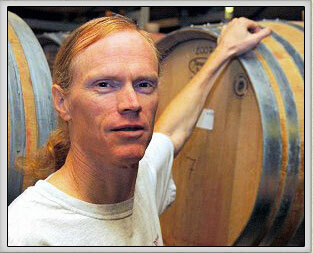 Rosback, 56, was an electrical engineer before founding his winery in 1994. He says he'd like to make a Barolo also, but can't because Italy's harvest is at roughly the same time as Oregon's, whereas the seasons are reversed in New Zealand. I was surprised to see an 8,000-case producer doing something all the big guys do. I've come to expect Ravenswood to make an Australian Shiraz or Cupcake to make German Riesling, but Sineann is so small and Rosback is so hands-on. "People often ask me if it's difficult to make wine on the other side of the world," Rosback says. "It costs me less than $10 a case to ship from my warehouse in New Zealand to my warehouse in Oregon. And the harvest is the opposite schedule. So why not?" You can order the wine here. We get all manner of animals big and small in our truck loads along with other items. It is not something I would advertise to a writer, especially a well-read blog, even though the subject is about the evils of machine harvesting Sauvignon Blanc. Best keep some things to yourself. Well there is more than one way to skin a cat. I just didn't want the romance of harvesting grapes degraded. There is no doubt that machine-harvesting will result in maceration. Small amounts of maceration if done properly. But have you ever had Menetou-Salon? If this maceration causes grassiness, it should be over the top grassy as it is intentionally held on the skins for 12-72 hours. And a lot of lake county SB is machine harvested . . . No disrespect to his theory, but it seems like there is more going on. I don't doubt that, under the circumstances, hand harvesting makes a difference. I just don't think that can be the complete picture. I'll have to get a hold of one of his SB.